It is safe to say that the key to success for a company is to count on employees with good knowledge and the right skills. Employee training is not only beneficial for the individual but also it is directly related to the company’s capability of achieving the business goals. 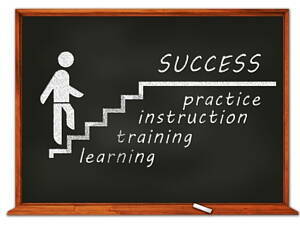 Companies with the best training program are more likely to obtain better results and keep the knowledge up to date. Also, it is an advantage when seeking new employees since young professional will highly value the possibility of keep learning while working and grow in the business. In the case of mulling over different options, they will choose the company which includes a good training program like for example, IT training. It is not easy to be able to count with an own training department in your company. Luckily, there are many professional training companies in Derby (Derbyshire) keen to help you out with the whole training strategy. Training workshops are a very commonly used way to improve skills at the workplace, but technical training companies provide a much wider range of activities and learning possibilities and methods. Corporate training plays an important role in the success of a business, so do not hesitate to get in touch with the best corporate training companies in Derby (Derbyshire). The training company will guide you in order to achieve a better work performance. At Infoisinfo our commitment is to provide you with useful information so you can find the best products and services to buy and hire in Derby (Derbyshire), either for you or your company. We know how important formation and getting the right skills are for an optimum work performance. This is why we have prepared a list of the best training companies in Derby (Derbyshire). Thanks to our directory you will be able to find services like staff training or leadership skills training. Get in touch thanks to the contact details provided such as phone number, address, websites and opening times. In addition, comments and valuations are also available on our website to give you a better idea about the quality of each service. If you find it useful, please do not hesitate to share your opinion too so it can help others. Thai Bodywork, Pilates, Yoga, Personal Training, Indian Head Massage, Swiss Ball Training. Our main categories are computer and computer training. AutoCAD Training Microsoft Office Training. End Cottage Kennels aim to deliver luxury accommodation, with optional Kennel Club Registered Good Citizen Dog Scheme Training. Dog training and pets are the main activities of this company. www.cbdog.co.uk. Pet Dog Training classes, Puppy classes, Problem dogs. We are the best in the market of training design and delivery. Training diganostic, design, delivery and consolidation services.